I seem to be picking up more books than I have time for these days. I've already committed to reading at least one book a month (with some allowances for overlap when I am too busy to block out solid reading time) but it seems like little gems that help with motivation, life, relationships, etc. keep popping up. The monthly reading is a fictional escape but I have to work in books with practical application as I can. 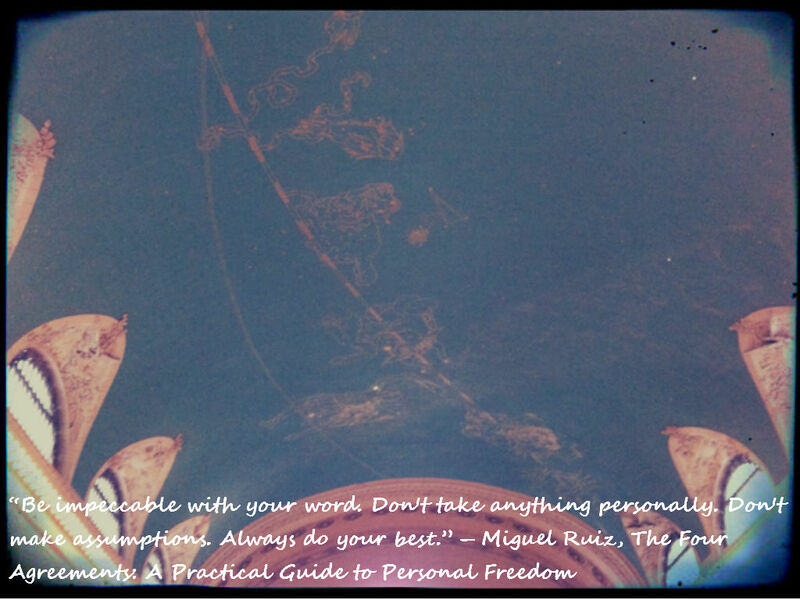 After seeing an interview with don Miguel Ruiz yesterday, I decided the next book in that group would be The Four Agreements. Apparently, I am WAY late to the game but who cares? There's no time like the present. Honestly, after seeing what the four agreements are, how can I resist? Have you read The Four Agreements? What did you think? *Photo is of the Zodiac constellation mural on the ceiling in the Main Concourse of Grand Central Station. It is the 100th anniversary of Grand Central Station and it has held a special place in my heart since I first visited NYC as a teen. Years later when my dream of living in the city came true, I commuted through here every day until my office left downtown. It is still one of my favorite NYC landmarks.